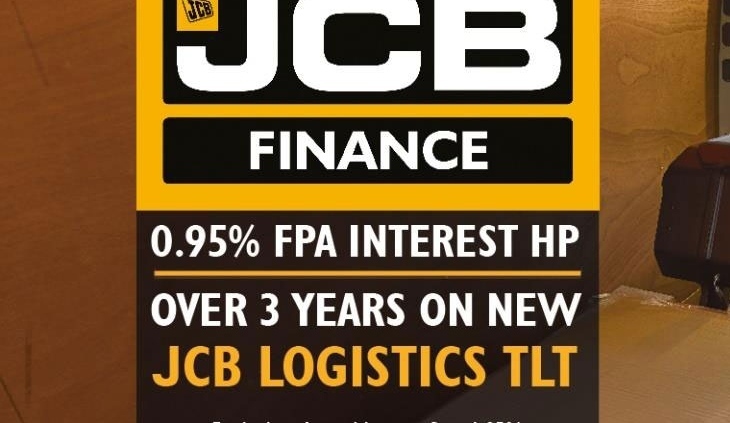 This 0.95% FPA (Flat Per Annum) Interest Hire Purchase over 3 years offer is available on new JCB Logistics Teletruk models ordered by 30.04.2019. 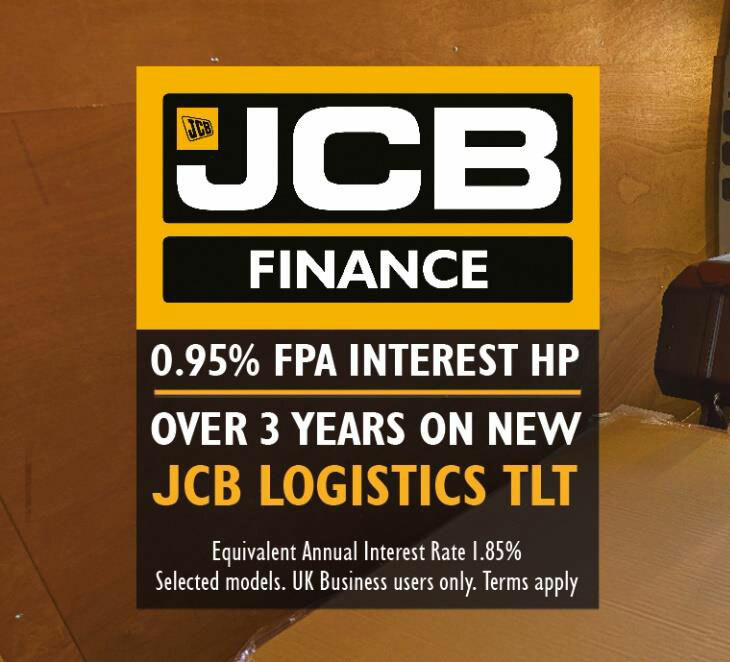 With an Equivalent Annual Interest Rate of 1.85% this offer is available for UK business users only via Greenshields JCB. Terms apply. The JCB Logistics Teletruk forklift provides unrivalled forward visibility, forward reach and large lift capacity on a compact machine. It enables you to change attachments quickly and easily and the 111 degrees of carriage rotation allows you to pick and place loads safely. 10 models are available within the JCB Teletruk range, with lift capacities up to 3,500 kg (7,700 lb) and a lift height upto 5.15 m (16′ 11″). Alternative fuel options can be specified – LPG or diesel. A 4X4 option is available on the TLT30 and TLT35 models. In short, the Teletruk does everything a conventional forklift does, only more! TERMS: Greenshields JCB (Registered in England No: 03235098 Registered office: Gravel Hill Road, Farnham, Surrey GU10 4LG) is authorised and regulated by the Financial Conduct Authority. Greenshields JCB is a credit broker and JCB Finance Ltd is its preferred supplier of Finance. JCB Finance Ltd (registered in England No: 972265 and whose registered address is: The Mill, High Street, Rocester, Staffs, ST14 5JW) is authorised and regulated by the Financial Conduct Authority (Firm Reference Number: 708332). Finance is restricted to business users only in the United Kingdom, subject to acceptance by JCB Finance Ltd. Terms apply.